A fellow Western Dev - Justin Self - was telling me he uses GitHub for source control and VSTS for Work Items, and was wondering if it's possible to link the Work Items to GitHub commits. 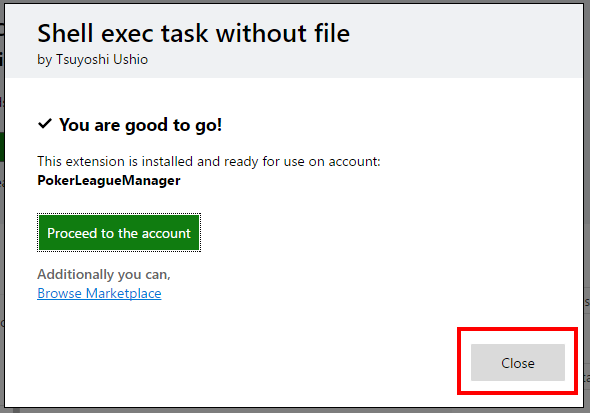 If you're using VSTS for source control, you can do this easily by mentioning the Work Item ID in your commit message like so: Fixing Bug #123. 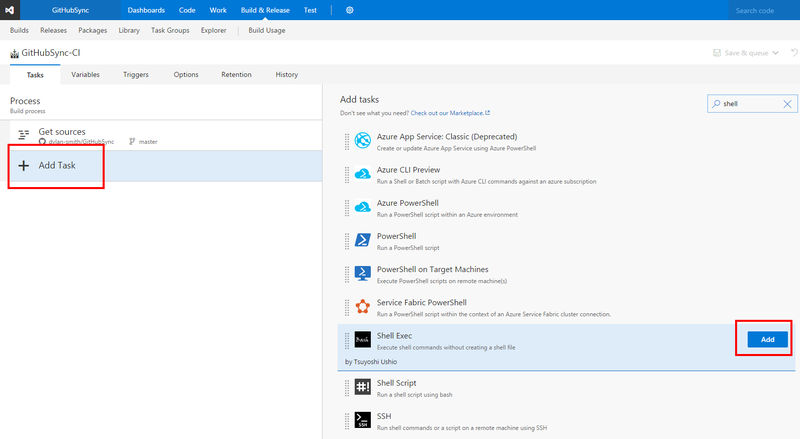 And VSTS will automatically create a link between the Work Item and the Git commit. If you're using GitHub for source control, I don't believe there's an out of the box way to make this work. We came up with an idea, what if we could synchronize the GitHub repository to a VSTS repository. 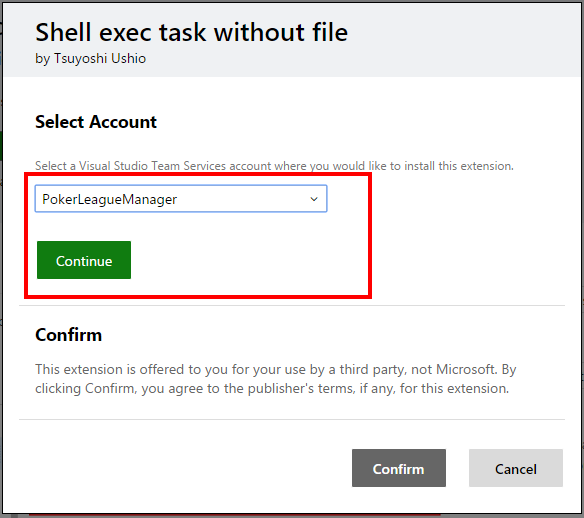 Then VSTS could see the commits and create the WI links. So that's what we did, and this blog post explains how you can do the same thing. 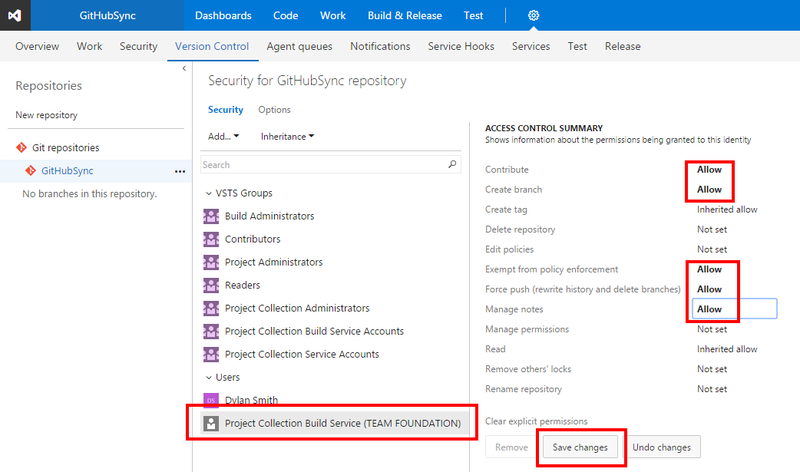 First things first, you need to create a VSTS Build that points to your GitHub repo. 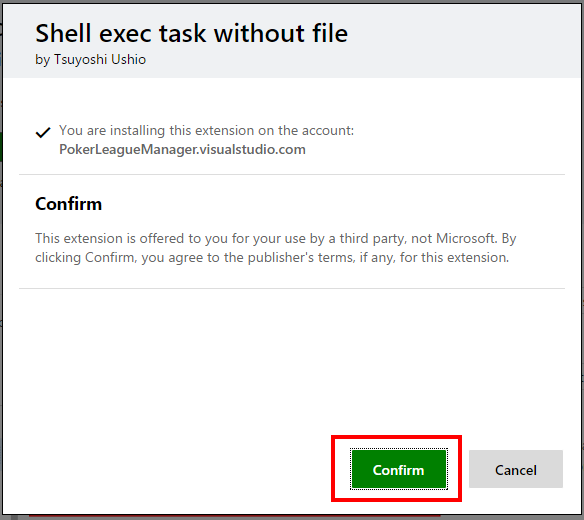 That's easy enough, as support is built right into VSTS builds to do this. Go to Builds and Create a New Definition (Note: I'm using the new build editing experience - which you can turn on for your account if you haven't already). Alright, now we have a build that triggers on every GitHub commit/push, and will download the GH repo to the build agent. The next step is to make it push any and all changes into the VSTS repo. To do this I shamelessly copied a snippet of bash from StackOverflow. There is a built-in build task to run a bash script - Shell Script - but that requires you to point it to a script inside your repo, which is more work than I wanted. I just want to write the few lines of bash directly in the build. 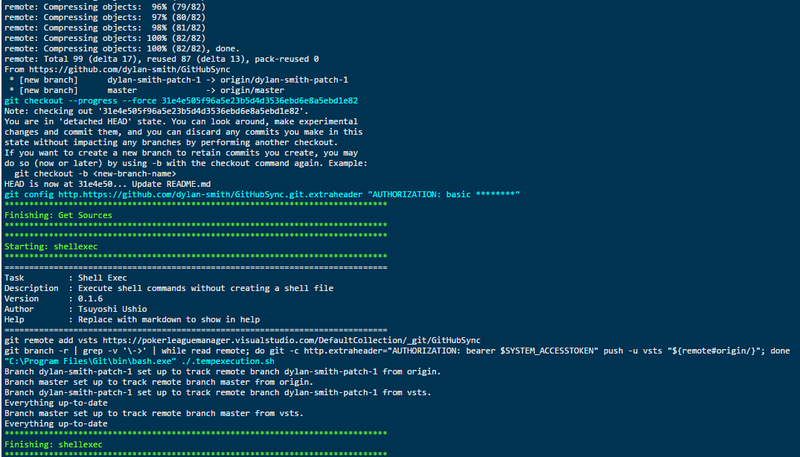 Those 3 lines of bash using the git command-line are all it takes. 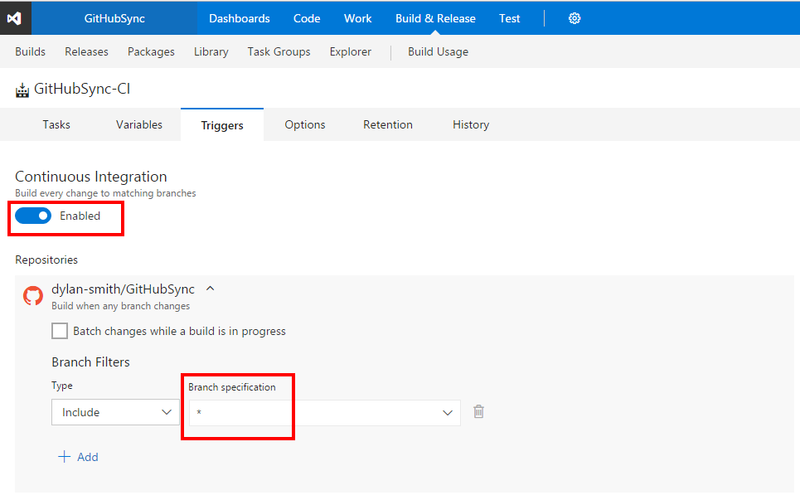 The one tricky bit to figure out was how to make sure it synchronized all branches - even newly created branches - in github into VSTS. The trickery in line 1 and 3 does that. Loop through all branches in origin and create local branches to track them. 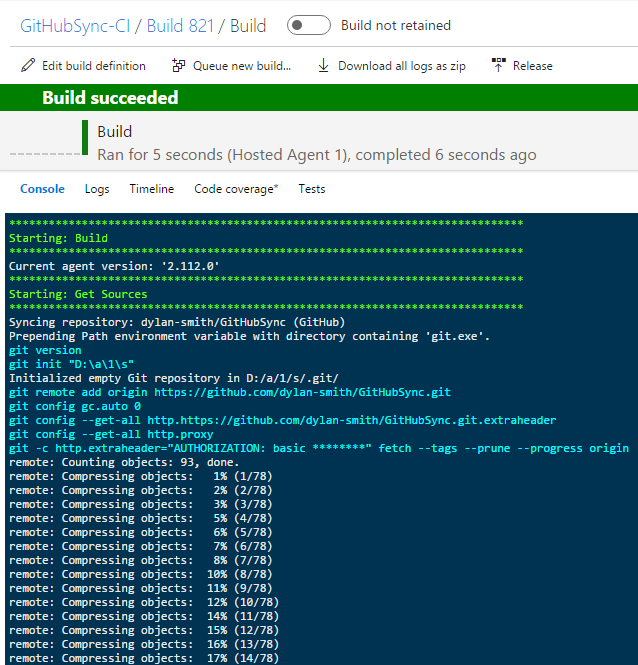 Note: Because GH was setup as the repo for this build, VSTS has already created the git repo, setup origin to point to GH, and downloaded the repo to the build agent. 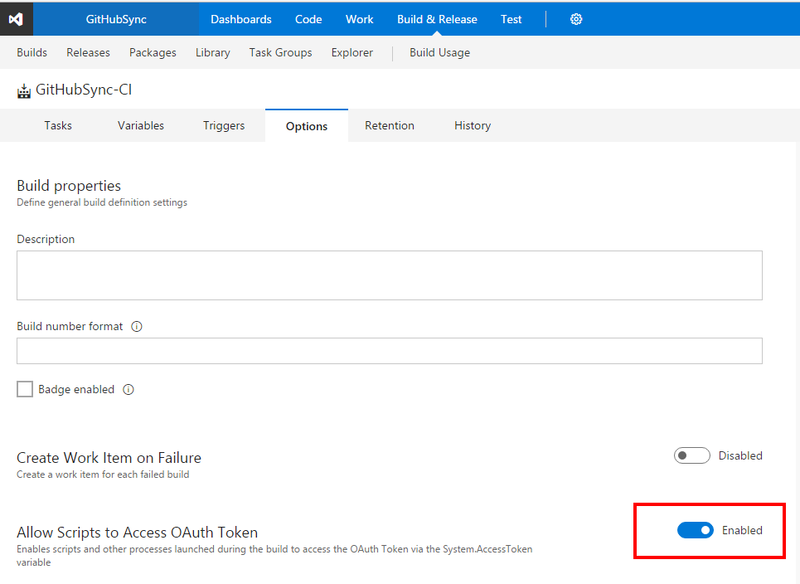 The stuff with $SYSTEM_ACCESSTOKEN in line 3 is accessing an environment variable that contains an Oauth token that can be used to communicate with VSTS - in a previous step where we set the option in the VSTS build to make Oauth token available to scripts, is what allows this to work.